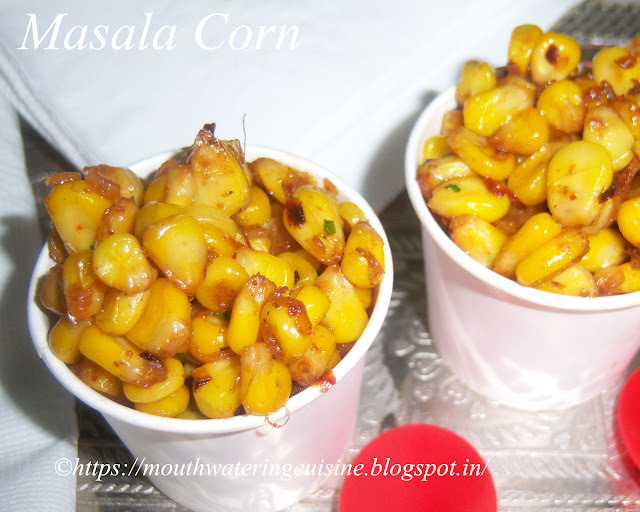 Masala corn or sweet corn chat is a very simple and easy snack item. 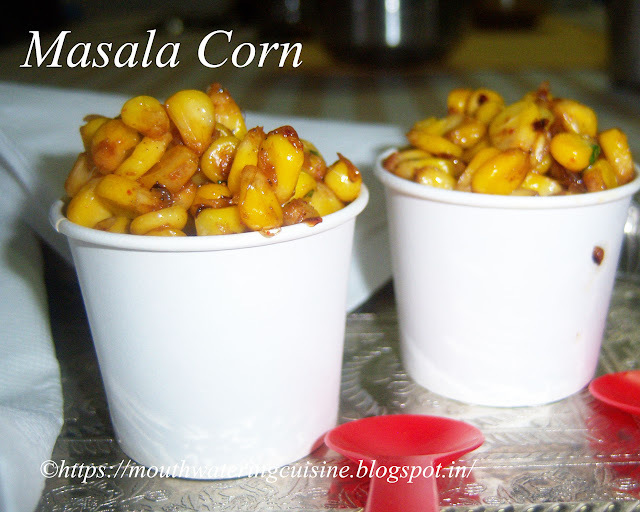 Whenever I go to general bazaar for purchasing, having masala corn is a must. I love this so much. We get sweet corn kernels in the local markets. I buy and refrigerate them. 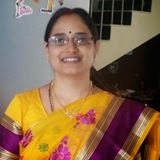 Very simple and easy way of using them is just boil and add required masalas. Sprinkle little chopped coriander and lemon juice to get a nice flavourful taste. Boil water in a thick bottomed vessel, add little salt and put corn. Allow it to cook till they become soft. Once done, drain excess water and keep them aside. Heat butter in a kadai, add onions and fry them till they become translucent. Add cooked corn, saute for 2 minutes. Add salt, red chilli powder and coriander powder. Saute well. Add chopped coriander leaves. Mix well.